Back in the 1980s Yamaha had a 250cc, 2-stroke 3-wheeler known as the Tri-Z 250. 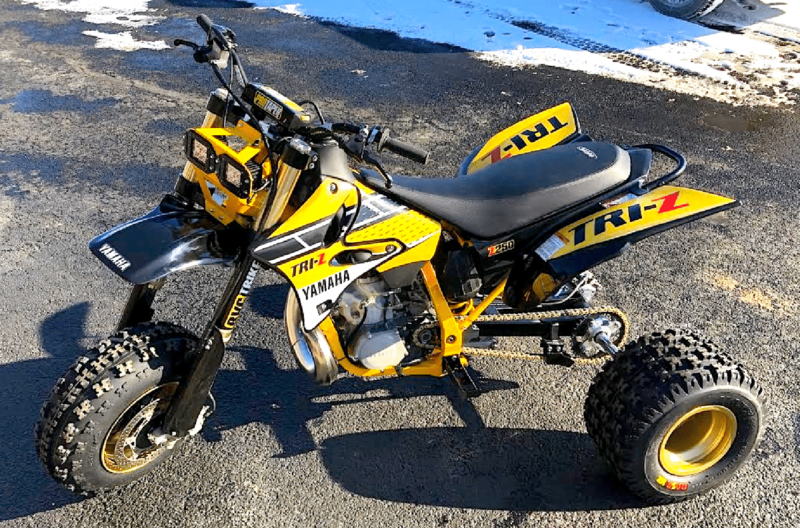 Today, BVC Trikes provides you with a way to build a modern Tri-Z 250. 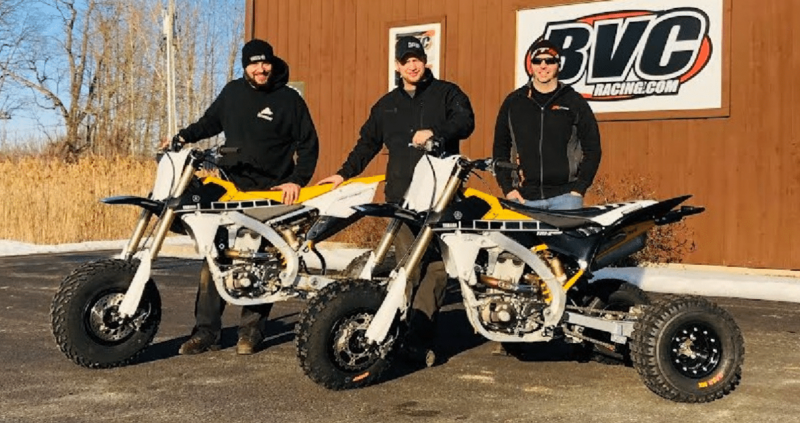 Their kits pictured here are for 2005 or newer YZ250 dirt bikes. 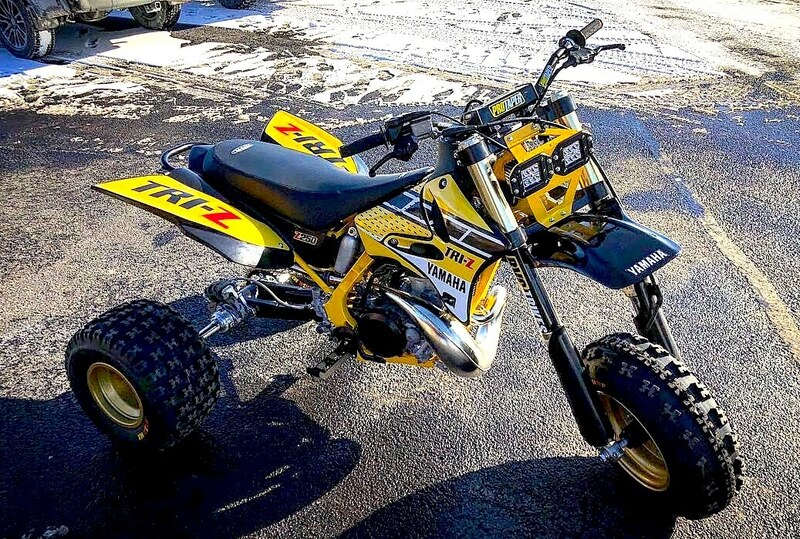 BVC Trikes also has kits to turn YZ450Fs into Tri-Zs. The ones here are the newer version 450s with the backwards head design. 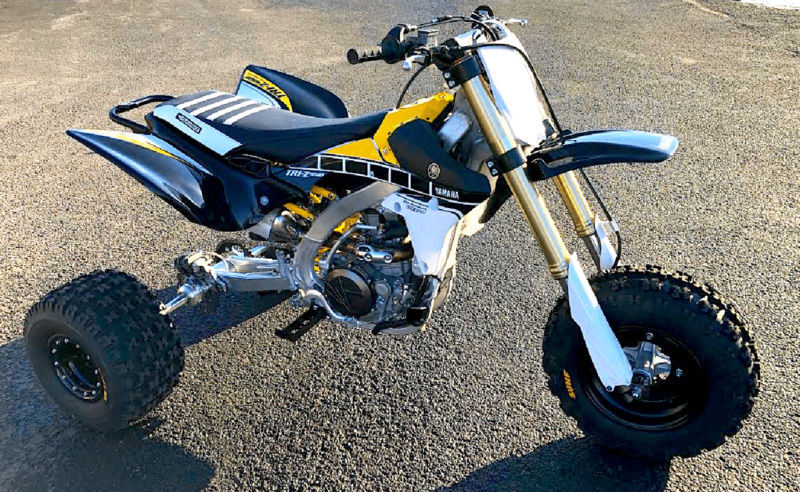 They have the BVC machined triple clamps, custom swing arm to correct chain alignment and their custom under seat fuel tank to allow their ATV style sub-frame. for your atv, motorcycle, snowmobile needs. for all of your sign and vinyl graphic needs.